It’s not that easy to meet your twin souls. Usually they are continuously challenged before they can finally reunite. Most often, one or both are involved in other karmic relationships that have to be seen through to the end. That other relationship in itself can delay the timing of the twin souls reuniting, and for that soul in the waiting room it can be the worst kind of emotional pain. Will she/he ever leave that other karmic connection? In the way of things, twin souls have to experience separations. It’s part of the contract! During these times we learn so much about ourselves and we learn about unconditional love. Knowing that your other half (and this isn’t always your spouse or girl/boyfriend) must fulfil their earthly karmic obligations is extremely challenging. It is not a question of being a doormat, or putting your own life on hold. It’s about acknowledging this deep love and knowing that your twin soul is always connected to you whatever you might do, and whoever else you may be with. Sometimes twin souls have a fleeting meeting very early on. One soul feels it, but the other doesn’t have the vocabulary to acknowledge what they’ve experienced, or indeed may not perceive their other half in the same way. In other words, this early meeting may be an indicator that one or both are not picking up the radar signal. Many years may elapse before the two meet up again. The energies and the feelings are exactly the same. The knowing twin may feel pangs of regret and anger that their other half did not reunite with them sooner. But the Universal time is usually accurate. Just think, if your twin soul had been in your life all along, but had other karmic relationships to fulfil, that would have been heartbreaking for you. It could mean that one twin would have not lived a full life, always hoping, always wishing and always waiting, when it was not time to wait, and therefore not becoming the person they should have been. Although in some respects there may never been a right time, till the right time arrives, Madam Destiny will eventually have her say! So what can we learn in that waiting room? We learn not to try and force our will on the other? That type of controlling behaviour is for lesser soul connections to learn the folly of their ways and to learn that unconditional love is not about controlling or bullying the other person. Is it their fault or is it ours? It’s nobody’s fault, but we have to ask ourselves, why are we waiting in that “waiting room” for someone who is giving us so little in return. Is our self-worth that low? Why is that? The penultimate lap of the twin soul incarnation often means that our twin soul may have other fish to fry, other men/women to marry or have relationships with, and we are stuck in time, waiting for their return. Now that return could take a day, a week, a month, a year, many years and possibly not until the next incarnation. But the journey of the twin souls means that we will connect with them eventually. People often agonize whether to stay in that “waiting room” or vacate it for other souls to use and ponder. After all it’s an emotionally expensive place to linger. My answer has always been, don’t wait. You need to get on with your own life and make yourself the best possible example you can be of yourself. Ask yourself also, why, when you are giving 150% emotionally, your other half is giving 0%. When they do come back for a fleeting visit, we are on top of the world and yet they give back very little. So how do you exit that “waiting room” and not feel guilty? Knowing that the electrical current that passes between us and our twin soul is ever present, we need to use techniques that block or at least allow that energy to be more manageable. I always tell my clients to imagine a thin piece of glass between you and your other half, so that the more acute emotions being experienced are pushed further away. If you were to reunite, would it necessarily be in a love relationship? 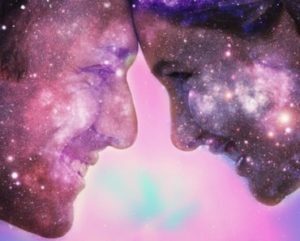 Knowing that most twin souls meet when one or other is already committed to another relationship, means that there are challenges ahead. A true twin soul will never pull us out of an existing relationship, because that causes more negative karma. 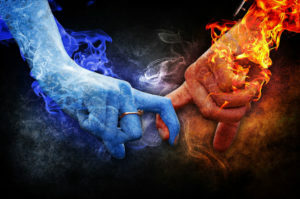 If they are a true twin flame, they would simply wait for the natural order of things. And when you do reunite is it necessarily a marriage? Maybe, maybe not. But you can be the best of friends working together, understanding each other and having the deepest respect for each other’s ways. To try and change your twin soul into anything else means you are not ready to connect. 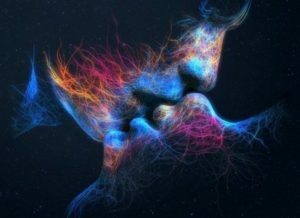 Further, with twin flame and soul mate connections, it’s not just about or even the relationship (if such a relationship exists), it’s about what happens as a result of that connection, how it moves you along your psychic path and/or changes your life. So once we are out of the “waiting room”, we are back in control of our own lives, and if our twin soul does come back again, we are able to be strong enough to tell them how we feel and what we want. They may go away again, because they don’t like the terms. Then so be it. But coming out of the “waiting room” is ultimately quite a heady experience. It means that we are already working on ourselves to becoming emotionally stronger and putting ourselves back in charge of our own destiny. Previous Does Your Expectation Dragging You Down?